15 Commercial Real Estate & Properties in Sunnybank are listed in 4 categories. We have 6 Medical and Consulting PropertiesLease , 4 OfficesLease , 4 Retail ShopsLease and 1 Other Commercial PropertiesLease . Yong Commercial is pleased to offer this Sunnybank center location office space at Zamia St. The location provides tenants with convenient access to all modes of public transport; bus stations are at the doorstep of the building. Zamia st popular korean town,next to time square building and Sunnybank Plaza Asian Culture influences on business. Surrounded by a rapidly growing residential community Ample car parking space Ideal for Accountant, lawyer firm This rare office suite is located prominently next to Sunnybank Plaza and opposite The Time Square building on 6 Zamia Street, Sunnybank. The office is fully air conditioned and 1 reserve car park for the tenant. Price: $19,000 per annum included outgoings +GST Inspection: By appointment Address:7/6 Zamia St Sunnybank QLD Contact: Conan Li 0404 617 767/07 3373 9887 Email: conan.li@yong.com.au Disclaimer: We have in preparing this information used our best endeavours to ensure that the information contained herein is true and accurate, but accept no responsibility and disclaim all liability in respect of any errors, omissions, inaccuracies or misstatements that may occur. Prospective purchasers should make their own enquiries to verify the information contained herein. Sunnybank Qld Time Square Ground Floor Shop For Lease $4148.2 per month plus ou..
Sunnybank Times Square is located in the center of Sunnybank, opposite to mcdonalds sunnybank Trades 7 days a week with fulltime onsite manager Over 300 Basement security carpark and on ground parking Great tenancy mix: Medical centre, Hanaro Mart Sunnybank tourism, bank, cafe and retail shops This fully fitted 43 sqm retail shop Close to public transport and all amenities. The current tenant has purchased elsewhere. Take over the current lease Price: $4148.2 per month excluded outgoings & GST Inspection: By appointment Location: Shops G13 G15 250 McCullough St Sunnybank QLD Contact: Conan Li: 07 3373 9887/0404 617 767/ conan.li@yong.com.au Disclaimer: We have in preparing this information used our best endeavours to ensure that the information contained herein is true and accurate, but accept no responsibility and disclaim all liability in respect of any errors, omissions, inaccuracies or misstatements that may occur. Prospective purchasers should make their own enquiries to verify the information contained herein. Yong Commercial is pleased to offer this Sunnybank center location retial shop at Zamia St. The location provides tenants with convenient access to all modes of public transport; bus stations are at the doorstep of the building. 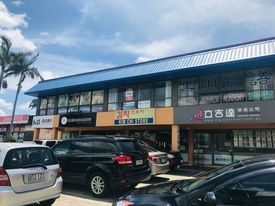 84m2 Retail shop with 1 exclusive car parking Zamia st popular korean town,next to time square building and Sunnybank Plaza Asian Culture influences on business. Surrounded by a rapidly growing residential community Ample car parking space Ideal for Retail, Display showroom, Accountant, lawyer firm, Salon Transfer lease, 3 years left with 5 years option Price: $52,416 per annum plus GST Inspection: By appointment Address:SuiteB6, BlockB, 3 Zamia Street Sunnybank QLD 4109 Contact: Conan Li 0404 617 767/07 3373 9887 Email: conan.li@yong.com.au Disclaimer: We have in preparing this information used our best endeavours to ensure that the information contained herein is true and accurate, but accept no responsibility and disclaim all liability in respect of any errors, omissions, inaccuracies or misstatements that may occur. Prospective purchasers should make their own enquiries to verify the information contained herein. Yong Commercial is pleased to offer this golden space for you. Boasting a prominent corner location, the property is ideally located at the intersection of Mains Road and ELVA Streets in the central of Sunnybank business district.The location provides tenants with convenient access to all modes of public transport; bus stations are at the doorstep of the building. 1 ELVA St also benefits from being located on the cusp of the Golden circle, providing you and your professional staff with easy access to the dining, retail and all the service amenities. A Sunnybank CBD that with foot traffic Large windows Office showroom offering plenty of natural light 830m2 land and 228m2 building area Outstanding exposure to Mains road with over 40,000 vehicles per day. Asian Culture influences on business. Establish your business in here and it will be the landmark building in Sunnybank Surrounded by a rapidly growing residential community Ample car parking space Ideal for Corporate office, Display showroom, Accountant, lawyer firm Incentives available for the right tenant. Price: Contact agent Inspection: By appointment Address:1 Elva St SUNNYBNAK QLD Contact: Conan Li 0404 617 767/07 3373 9887 Tom Zhang 0432 422 388 Email: conan.li@yong.com.au; tom.zhang@yong.com.au Disclaimer: We have in preparing this information used our best endeavours to ensure that the information contained herein is true and accurate, but accept no responsibility and disclaim all liability in respect of any errors, omissions, inaccuracies or misstatements that may occur. Prospective purchasers should make their own enquiries to verify the information contained herein. Location, Location, and Location Sunnybank Plaza right next to you Situated in the McCullough Street, the property is located in absolutely ultimate prime location, literally walking distance to everything second to walk to into Sunnybank Plaza precinct which includes supermarkets, shops, cinema and restaurants, walk to Mains Rd for city express bus, Times Square, Sunny Park shopping center, Macgregor Primary School, Market Square, Sunnybank Private hospital, high school, you name it, what an extraordinary prime location! The property recently renovated. features a new kitchen, new paintwork, carpet, 2 x Air Conditioners and ceiling fans to every bedroom. Right in the professional precinct of Sunnybank; Unbeatable location for medical/consulting rooms, professional office or retail; Choose from 23m2 to 300m2; Plenty of underground parking for tenants and customers; Easy access to public transport; Current tenants including ANZ, NAB, Bank of Queensland, Queensland X Ray, medical specialist practices, law firms and real estate agencies; For further information please contact Tai Ma on 0434 226 030. Price: Contact Agent Area: Total: 23 300m2 Location: Only 12kms as the crow flies from the CBD, Sunnybank and the surrounding growth areas of Robertson, Macgregor, Mt Gravatt and Eight Mile Plains are home to many younger families and a majority of residents under 40 years of age. Having two campuses in the region makes it popular for students as well as providing the nearby community with facilities not available in every suburb including bookshops, cinemas, fitness centres and libraries. Space Available Now In Sunnybank Retail Centre! $2,266.66 + Outgoings + G.. Located on Turton Street, this retail tenancy offers ease of access, a central location and all other major professional precincts within close proximity. With a large residential catchment nearby and a quality mixture of tenants this space will not last. Features Include: Suitable for a multitude of professional organisations. 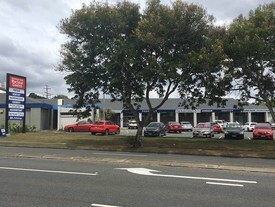 68m2 for office or retail user Excellent provisions for signage Extensive customer parking Easy access via Turton Street Outgoings $425 + GST per month For further information, please contact Jose Rojas. 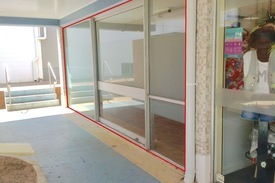 This tenancy is ready for immediate occupation with partitions and fit out in place. The tenancy will suit either a medical or professional tenant looking to capitalise on minimal move in costs and plenty of car parking.Features include: 150m2 Full disabled access and amenity Full fit out in place Fresh paint and quality floor coverings Backs on to the busy oasis shopping centre with plentiful amenity for staff and clients 5 car parks, 5 offices/consulting rooms. Approx.Due to the nature of the tenancy it will lease quickly.Please call the agent to arrange an inspection.